Set in the 1950s. Sally is a nineteen year old girl living in the (fictitious) outback Queensland town of Russell. She enters into an unhappy marriage with a much older man (Fred) and moves from the township where she has had a close relationship with another girl (Kate), to live with him on his sheep station. Because Fred has to have a prostate operation their honeymoon cruise to Manila is delayed. Just prior to their marriage Sally is smitten by a man her own age (Mike) who is conducting a survey for oil which he discovers under their property. This is not disclosed. Subsequently in Brisbane, while her husband is having his operation, Sally meets up with Mike again and they go to bed together. Mike wants Sally, and the oil he has discovered under her property and sets out to go, unbeknown to Sally, on her honeymoon cruise with the intention of throwing her husband overboard. Because he is depressed at becoming impotent after the operation, and because he discovers Sally is pregnant by another man, Fred decides to commit suicide by jumping overboard, but Mike going ahead with his plan is seen throwing him overboard before Fred can jump. Mike is arrested and taken off the ship as it enters the port of Manila. But as she disembarks Sally is handed Fred's suicide note which the steward found in their cabin when he started cleaning it. Mike is released. Everything seems to be working out for him, but before they are able to meet again he is killed in a car accident and Sally ends up living with her baby and her best friend Kate who has always loved her. Adelaide Devonport is a Tasmanian, born in Launceston many years ago. After a working life in the commercial world she now lives in a retirement village in Melbourne, Australia where she enjoys pastel painting and writing novels. 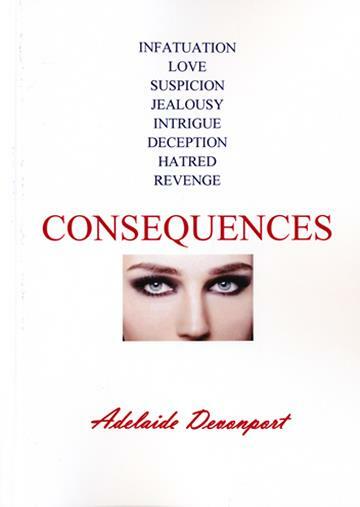 Her only other published work at this time is entitled 'Consequences' which is a romantic story set in outback Australia in the 1950's.